Marketing Campaigns was built to make email design frustrations a thing of the past. With flexible, marketer-friendly design and HTML editing options, you can work your way to create beautiful, responsive campaigns. 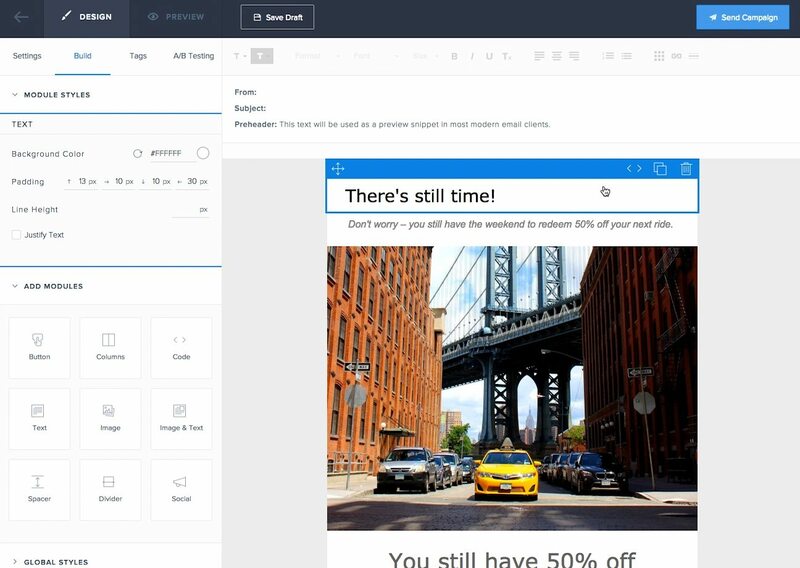 Use the design editor to build campaigns with drag & drop and WYSIWYG tools, while still having HTML control. You can edit the code of individual modules, the HTML head, and even import custom HTML using Marketing Campaigns’ drag & drop markup. Confidently build or edit your carefully crafted HTML with our code editor. See HTML changes live with the side-by-side code and preview panels. Quickly pinpoint the line of code you need to edit with scroll syncing. Catch mistakes with error flagging, and save time with tag completion. Make sure your content looks great on any device using a library of responsive templates, or build your own responsive layout using our design editor. Modules and images will automatically adjust to the display your recipient is viewing. Save time in the design editor by easily defining both global and module styles. You can change colors and fonts to match your brand guidelines with just a few clicks, then edit or update links, logos, and images within the toolbar. Build campaigns faster by starting from a template. 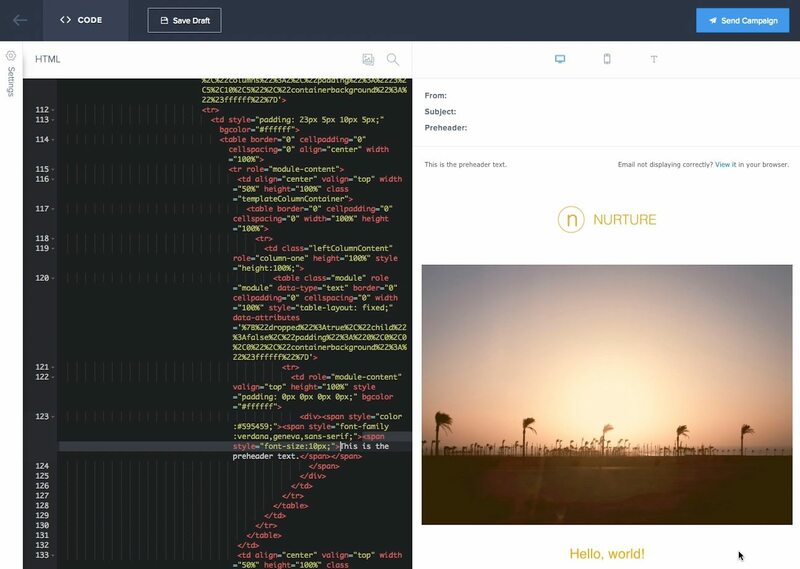 Choose from SendGrid's responsive templates, or build your own custom campaign using either the design or code editor. Make your content more relevant by including details specific to each recipient. Whether it’s first name, location, or any other relevant detail, you can choose what custom fields are meaningful to your business.